Common feature in many application is possibility to zoom text content by Ctrl + Mouse Wheel. 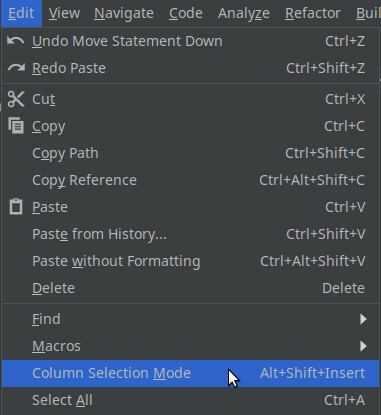 IntelliJ Idea has this feature, but it’s disabled by default. You can enable zoom in few steps. 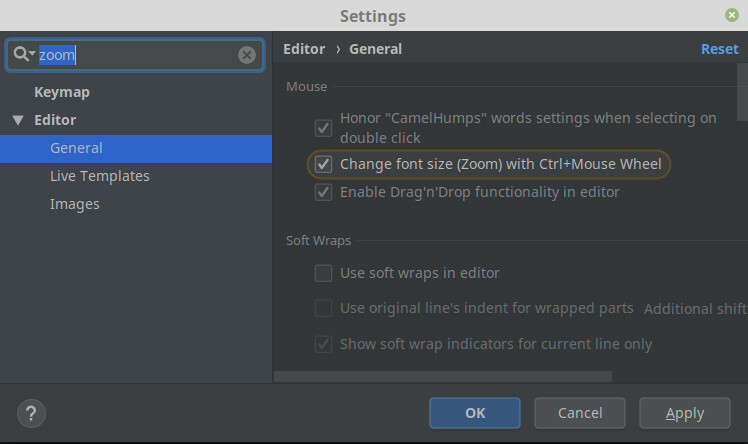 Open Settings (Ctrl+Alt+S), search for “zoom“, select Editor. In previous article we displayed also game objects. Now it’s time to add some movement. We will use mouse click to navigate an avatar around the stage. It seems pretty straightforward, but there are several gotchas. Let’s explore them. First of all we need to revisit the topic of Vuex store which we mentioned in the first article. It’s a very simple yet powerful design. All information about the state of the game is stored in the store. When you’d like to change something you dispatch a commit from your code and store methods will create a new state. In Vuex store these methods are known as mutations. Let’s design simple mutation moveObject where we will send game object and two vectors in file js/game.js. You may wonder about interesting syntax of moveObject. The second attribute is an object which contains three attributes. If you write code this way it will allow you to pass more than one attribute to mutation function. Values of vectorX and vectorY will be -1, 0, 1. We can send this values from method in component playground. Now we’re missing just the last piece of the puzzle to make this thing work. It’s the method mouseClicked. This one will be a little bit tricky. Let’s split the method into several parts. In the first part, we will need to determine coordinates where a user clicked relative to the component. This requires some computation because the object of event does not contain the information about relative coordinates. So we have the coordinates of click relative to the component. We would like to know whether a user clicked left, right, below or above the avatar. We need this information to determine in which direction avatar should move. We will retrieve coordinates of the first object (avatar) from the store. Then we will compute delta so we can decide the direction. You may wonder why we’re dividing coordinates by 64. It’s size of tile from previous articles. Based on delta we can decide what to do. First of all, it’s good to eliminate case when we should not do anything. Let’s add code for deciding in which direction should the main character move. The source code of this article is stored at Github branch article-04. In the next article, we will add checks so the avatar does not move through other objects or walls. In previous article we were talking about graphics tiles. Now we would like to display game objects. Sokoban contains just two types of objects: avatar and boxes. We will store these game objects in a list and we will use the same CSS trick to display graphic for each object like in the previous article. 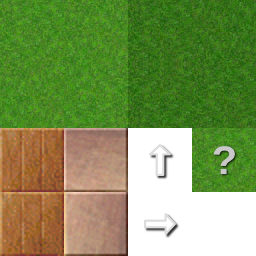 We will load just one PNG and define class for each tile that should be displayed. The template for HTML in index.html will iterate over the list. It will set coordinates using top and left CSS attributes. Graphics will be mapped by class name. <div v-for="(gameObject, index) in gameObjects"
The last remaining thing is to define picture mapping in css/game.css from tiles.png. The source code of this article is stored at Github branch article-03. In the next article, we will add controls to player’s avatar so it could move around the scene. In the previous article, we set the foundation for building a clone of Sokoban game. We displayed level in form of text. This form is good for ASCII-art fan. Let’s take a look at how to make it more user-friendly by replacing characters with graphic tiles. We’re going to implement the following principle. Each tile will be represented by span with fixed height and width. Also it will have fixed coordinates which could be achieved by setting top and left attribute to proper value. Then we will use CSS trick to display graphics tile from one image using CSS background attribute. Let’s start with CSS for our game in file css/game.css. The trick with background URL will pick the 1st tile from tiles.png file which begins at coordinates 0 0. Warning: Do not forget to use units in CSS definition. In our case it is px. When you define dimension without unit you may end up with very strange results. 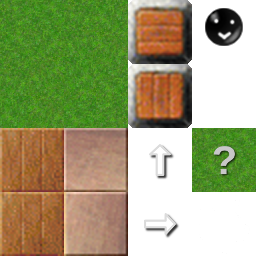 Here is the image with tiles which we will use in our game. Now we need to load CSS in index.html. Let’s update the template for playground component so that tiles are displayed instead of letters. <span class="tile" v-for="(tileName, tileIndex) in tileRow"
What is new in this template definition? Clearly class=”tile” which will apply the style defined in game.css file to html element. The question is how to map letter to from level map to tile stored in PNG file. The answer is simple. We will create a special class for each letter which references tile in PNG file. Then this class will be written into HTML code. Let’s look at the first piece in css/game.css. The pair of numbers indicates the start of tile from the top left corner. In CSS it’s recommended to use negative values for referencing coordinates to get the same experience across browsers. Now, it’s necessary to update the code of template just a little bit. <span v-for="(tileName, tileIndex) in tileRow"
The source code of this article is stored at Github. In the next article, we will add player’s avatar and box as game objects.